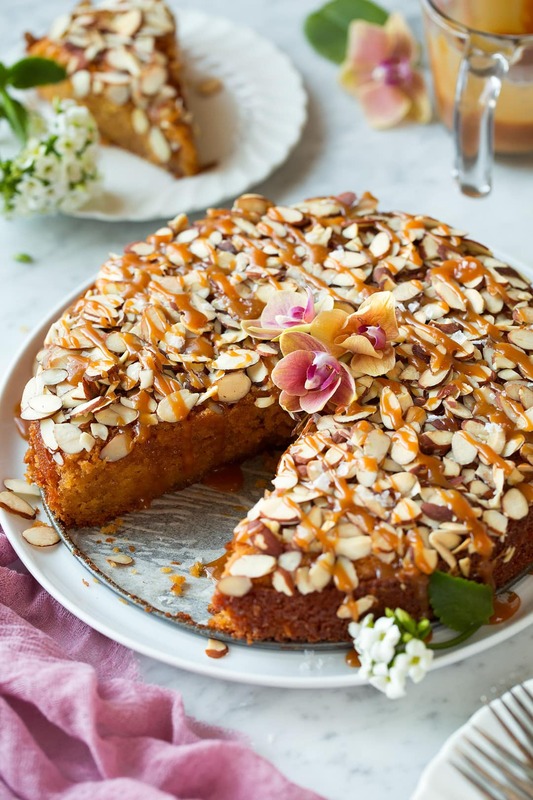 This Caramel Soaked Almond Cake (AKA Toscaka Torte) is all of my dessert dreams come true! 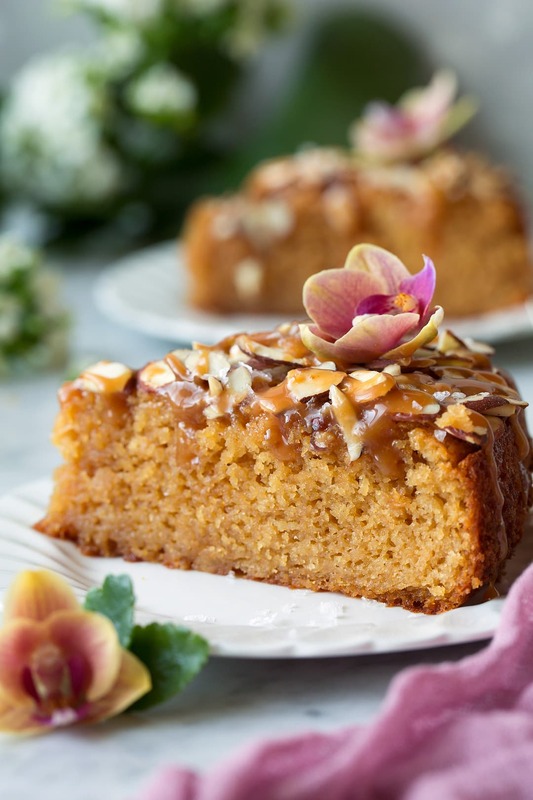 It’s a cake that’s worthy of any celebration and I love that it’s brimming with plenty of that irresistible caramel flavor which is perfectly paired with the almonds. There’s no question this is a cake I’ll make again and again, it is oh so tempting! I love that this is something different from the cakes I normally make. Even though there’s no frosting and it’s only a single layer it’s still one of the most delicious cakes I’ve had! We were instantly smitten by this cake and all of it’s rich flavors. 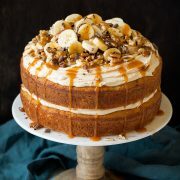 I also love the combination of textures – that soft, dense caramel soaked cake finished with those crisp flaky almonds. Mmm MMM! 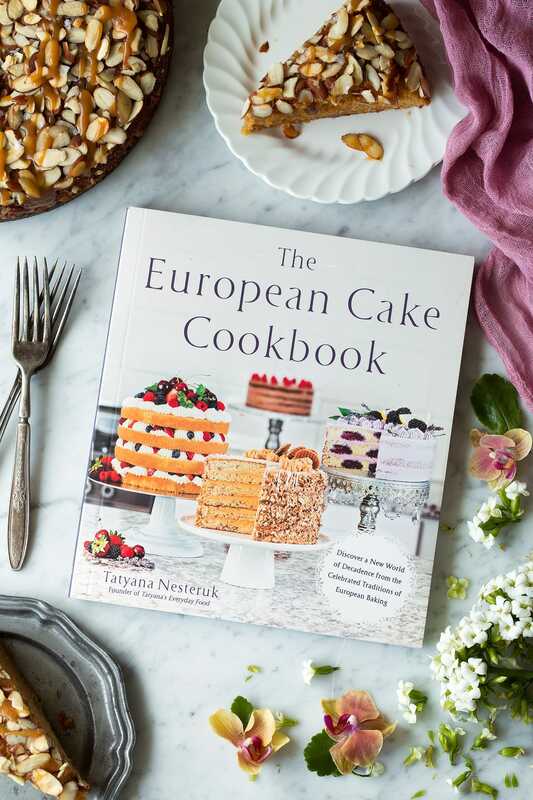 The recipe for this cake comes from Tatyana Nesteruk’s newly released cookbook, The European Cake Cookbook. Tatyana is the food blogger and behind the popular blog Tatyana’s Everyday Food. She also has an amazing You Tube channel with an abundance of mesmerizing dessert videos. I just love her new cookbook! 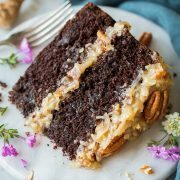 The photos are gorgeous, every recipe looks amazing, I love how she pours her heart into it, and I love that it’s filled with cakes I’ve never tried before! I’ve always wanted to go to Europe but now I can have a taste of it in my own kitchen. There are so many recipes I can’t wait to try! Each and every cake looks dreamy and talk about showstopper cakes, every single one is beautiful! 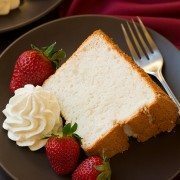 Here’s a few I can’t wait to try – the Apple Sharlotka Cake, Poppy Seed Smetanik, White Chocolate Raspberry Pistachio Mousse Cake, Lemoncello Ricotta Cheesecake, Italian Coconut Creme Cake, Triple Chocolate Swiss Roll, and the Madeira Cake. And pretty much every other cake in the book! If you’d like to learn more about Tatyana’s cookbook and purchase a copy for yourself you can find it on AMAZON. This Toscakaka Torte is an excellent recipe to start with! This is a cake people will most definitely remember and it's perfect for any celebration! It's a Swedish cake with a tender crumb and an irresistible taste! 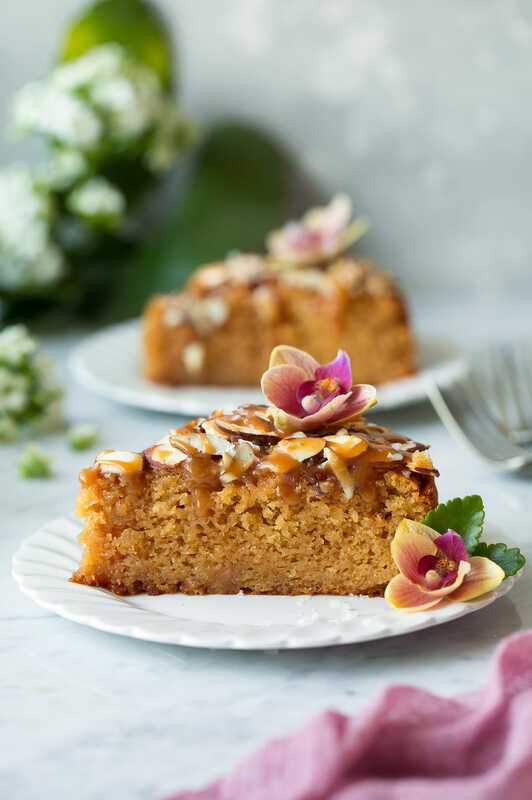 You'll love how the caramel sauce soaks into the cake and saturates it with flavor, plus it pairs perfectly with the abundance of almonds. Preheat oven to 335 degrees. Butter a 9-inch springform pan, line bottom with a round of parchment paper and butter parchment. In the bowl of an electric stand mixer fitted with the paddle attachment (preferably one that scrapes bowl while mixing), whip together butter, sugar and dulce de leche on high speed until pale and fluffy. Add in eggs and vanilla extract and blend on high speed until creamy, gently blend in milk (mixture may look curdled but it's fine). In a medium mixing bowl whisk together flour, almond flour, baking powder and salt. Sift flour mixture over batter and gently fold just until combined. Pour batter into prepared springform pan and smooth top. Bake in preheated oven for 30 - 35 minutes, the sides should be set but the center slightly under-baked. Meanwhile prepare the caramel sauce. In a heavy-bottomed 2-quart saucepan (something that isn't dark on bottom so you can see the shade of caramel), heat sugar and water over medium-high heat whisking constantly to dissolve sugar. Once mixture reaches a boil, stop whisking and allow mixture to boil until it reaches a dark amber color, carefully swirling pan occasionally* (this will take time, so be patient). It will first bubble vigorously and steam and it will be a clear shade, then bubbling will continue but the bubbles will become smaller and slower and it will slowly tint yellowish, then a medium shade of orange. Once mixture reaches that orange color, immediately add butter and whisk until butter has melted then immediately remove from heat. Carefully pour in cream and immediately whisk with a long handled whisk to combine (it will bubble vigorously). Whisk until mixture is smooth then pour into a bowl or jar so it doesn't continue to cook. Remove cake after the 35 minutes then pierce all over with a chopstick. Slowly and evenly pour prepared caramel sauce over the cake (I reserved a few tablespoons to drizzle over the top before serving). Sprinkle with almonds. Return cake to oven and bake until cooked through, about 10 minutes longer. Remove from oven and let cake stand 10 minutes then run a knife around edges of cake to loosen and remove pan ring. Sprinkle with sea salt flakes, serve warm or cool completely and store in an airtight container. *Note that if you are using a gas stove top I've found certain areas tend to cook faster on the gas stovetop, so if you start to see a darker area on the side you can give it a brisk whisking. Also using a wet pasty brush to wet down the dried sugar on the sides helps. Auntiepatch: heat sugar, salt and water over medium-high heat whisking constantly to dissolve sugar. I don’t see salt in the caramel sauce like it asks for in the directions.